For more than 30 years, we have been providing uncompromising accounting, tax and consulting services to businesses and individuals throughout the South Shore area. We feel privileged to work with clients who value and respect our services and expertise. Our expanded scope of accounting, tax, business development, financial and advisory services represents our total commitment to you and your business. By offering comprehensive services, we provide you with seamless integration of a number of business functions. We’re here to help you increase your financial net worth and grow your business. Our talented team is made up of highly skilled accounting, tax, financial, legal and information technology professionals. 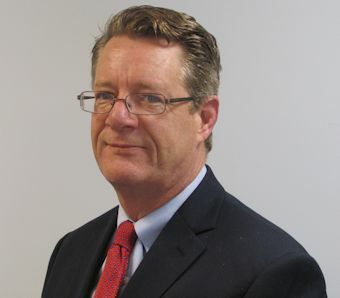 John Topham, a founding partner, is a CPA registered in Massachusetts and head of the Business Development team. He is a member of the American Institute of Certified Public Accountants and the Massachusetts Society of Certified Public Accountants. He has been the financial editor for the “New England Movers Magazine” and has authored numerous other articles. He holds a Bachelor of Science degree in Accountancy from Bentley College..
Marshall is a Senior Tax Associate/Consultant, responsible for review and preparation of Individual, S-corporation, and Trust and Estate tax returns. He works with business owners on strategic and financial matters including assistance with social security strategies. His experience includes positions as Director of Financial Operations and Controller for a primary South Shore publisher, responsible for all financial areas of the daily operations. Marshall has had previous and extensive experience in tax management, planning, preparation and review services for a regional accounting firm. Marshall holds a Bachelor of Arts degree in Accounting from Suffolk University. Laura is the Office, Bookkeeping and Administrative Manager, responsible for the daily operations of the firm. She is also responsible for providing monthly bookkeeping services to several small business clients and assisting with the administration of all tax clients. She works with business owners to help streamline their bookkeeping practices to ensure ease and accuracy of financial reporting for end-of-year tax preparation. Laura’s experience includes positions as Director of Franchise Development for a local franchise company, general manager of a very popular South Shore fine dining restaurant, business and administrative management for several start-up companies on the South Shore. She has had previous and extensive experience with bookkeeping, new business planning and development, operations management and efficiency planning. Laura holds an Associate of Business Management degree from Aquinas College.